Come back to me, Richard! Happy 101st Anniversary to Elise and Richard! 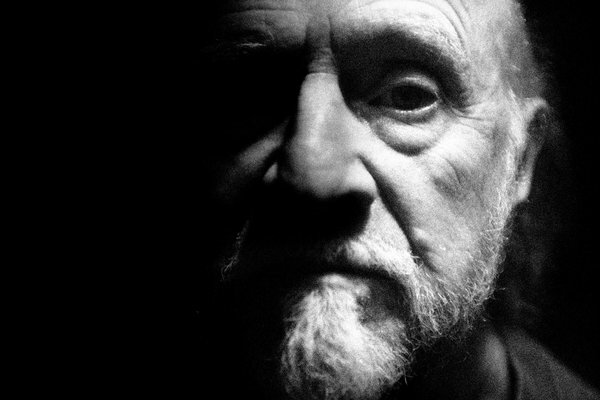 Sadly, Richard Matheson died on June 23 at the age of 87. FacRichard Matheson, whose novels, short stories, screenplays and teleplays drew the blueprints for dozens of science fiction and horror movies and television shows, died on Sunday at his home in Calabasas, Calif. He was 87. His death was confirmed by his son Richard Christian, known as R. C.
Mr. Matheson had a prolific imagination for the “what if?” story, and he drew his ideas from both actual events and other stories. After the unsettling experience of being tailgated by a truck driver, he wrote the short story “Duel,” about a motorist who is relentlessly stalked in a highway chase by a tractor-trailer, its driver unseen. The story became the basis for Steven Spielberg’s first feature film, starring Dennis Weaver. An early novel, and perhaps his best-known work, “I Am Legend,” about the last surviving human in a world in which everyone else is a vampire, was published in 1954 and adapted in 1964 as “The Last Man on Earth” with Vincent Price, in 1971 as “The Omega Man” with Charlton Heston and in 2007 as “I Am Legend” with Will Smith. “My mind drifted off, and I thought, ‘If one vampire is scary, what if the whole world is full of vampires?’ ” Mr. Matheson said in an interview with the Archive of American Television. Mr. Matheson’s 1956 novel “The Shrinking Man,” a frightening fantasy about a man whose simultaneous exposure to insecticide and radioactivity causes him to dwindle gradually in size, was adapted twice for the movies — once as a horror story, “The Incredible Shrinking Man” (1957), and once as a comedy starring Lily Tomlin, “The Incredible Shrinking Woman” (1981). In the late 1990s two of his books, “A Stir of Echoes,” a ghost story, and “What Dreams May Come,” about a man adrift in the afterlife, were also made into feature films, starring Kevin Bacon and Robin Williams respectively. Another novel, “Hell House” (1971), about four people investigating paranormal activity in what one character describes as “the Mount Everest of haunted houses,” became the 1973 film “The Legend of Hell House,” starring Roddy McDowall. The book showed off Mr. Matheson’s gift for creepy atmospherics. Mr. Matheson sometimes wrote the screenplays for the adaptations of his books, including “Duel” and “The Legend of Hell House”; he adapted Edgar Allan Poe stories for several films, including “House of Usher,” “Pit and the Pendulum” and “Tales of Terror”; and he wrote the screenplay for the 1965 film “Die! Die! My Darling!,” which starred Tallulah Bankhead as a grieving, demented mother who terrorizes the young woman she blames for her son’s death. Mr. Matheson was also a busy television writer. He wrote for westerns like “Have Gun, Will Travel,” “Cheyenne” and “Lawman,” and for the war drama “Combat!” But he was mostly known for his work on science fiction and thriller series: “Alfred Hitchcock Presents,” “Star Trek” and especially “The Twilight Zone,” for which he wrote more than a dozen episodes, including the classic “Nightmare at 20,000 Feet,” which starred William Shatner as an airplane passenger who spies a gremlin on the wing bent on crippling the plane. Richard Burton Matheson was born in Allendale, N.J., on Feb. 20, 1926, and grew up in Brooklyn. His parents were Norwegian immigrants; his father, Bertolf, installed tile flooring and helped operate speakeasies during Prohibition. A voracious reader as a boy, Mr. Matheson graduated from Brooklyn Technical High School. He served in the Army in Europe during World War II, an experience that was the source of his novel “The Beardless Warriors.” He studied journalism at the University of Missouri, after which he began writing fiction in earnest. For a time he worked at Douglas Aircraft. He published his first genre story, “Born of Man and Woman,” about a young couple who give birth to a monster and keep him in the cellar, in 1950. Mr. Matheson married Ruth Ann Woodson in 1952. She survives him. Besides his son R. C., he is also survived by another son, Christian; two daughters, Bettina Matheson Mayberry and Ali Marie Matheson; seven grandchildren; and two great-grandchildren. Bid Time Return (later retitled Somewhere in Time) is a 1975 science fiction novel by Richard Matheson. It concerns a man from the 1970s who travels back in time to court a 19th century stage actress whose photograph has captivated him. In 1980, it was made into the movie Somewhere in Time, the title of which was used for future editions of the book. Matheson has stated, "Somewhere in Time is the story of a love which transcends time, What Dreams May Come is the story of a love which transcends death.... I feel that they represent the best writing I have done in the novel form." Background: While traveling with his family, Matheson was entranced by the portrait of American actress Maude Adams in Piper's Opera House in Nevada. "It was such a great photograph," Matheson reports, "that creatively I fell in love with her. What if some guy did the same thing and could go back in time?" Then Matheson researched her life and was struck by her reclusiveness. To create the novel, he resided for many weeks at the Hotel del Coronado (where the novel takes place) and dictated his impressions into a tape recorder while experiencing himself in the role of Richard Collier. Matheson based much of the biographical information about the character of Elise McKenna directly on Adams. The book's original title comes from a line in Shakespeare's Richard II (Act III, Scene 2): "O call back yesterday, bid time return." Thanks, Paul. I'm sorry to hear he's passed. The background of Somewhere in Time is very interesting. What an inspiring author! It seems like Bid Time Return and What Dreams May Come are different than his other works. WDMC is also a very good movie that I like to watch on New Year's Eve every year. Well, there you can really talk about "a love that never grows old". Or, wait --- maybe it did grow old....?? Paul, Thanks for posting about Richard Matheson. His death gave me great pause b/c so few realize how extensive his writings are and how many of them have been the basis for films. After seeing "Somewhere In Time (1980)" my rapid romantic gene kicked in and I tracked down the original "Bid Time Return (hardbound)" about 25 years ago using the then only means how, the Barnes and Nobles book search service..way before our beloved internet.. along with an original film poster. These are both cherished, not only for their artistry but the fact that kicked me so hard. The only film to have since done that is BBM. Both are linked. Cheers, Vincent. Great to hear from you, gattaca! I recently came across the loveliest tribute to Christopher Reeve as Superman. I know it has nothing to do with Somewhere in Time, but I think it's such a lovely tribute that I wanted to share it. Background: A couple of weeks ago I picked up a magazine I'm not at all familiar with called Life Story. I found it on the magazine rack at the drug store, and I noticed it because Henry Cavill as Superman is on the cover, and it features a "Superman 75th Anniversary Tribute." I thought this might make a nice souvenir of Man of Steel. "Christopher Reeve ... became the interpretation of Superman that all others would be measured against. His characterization touched the world, which was proven by the outpouring of love that, first, greeted the news he had been made a quadriplegic in a horse riding accident while taking part in an equestrian competition on May 27, 1995; and, then, his death on October 10, 2004, from complications of that injury. In between he had shown a superhuman spirit of his own as he tirelessly campaigned to raise funds for and awareness of spinal cord research." To which I add, Amen.